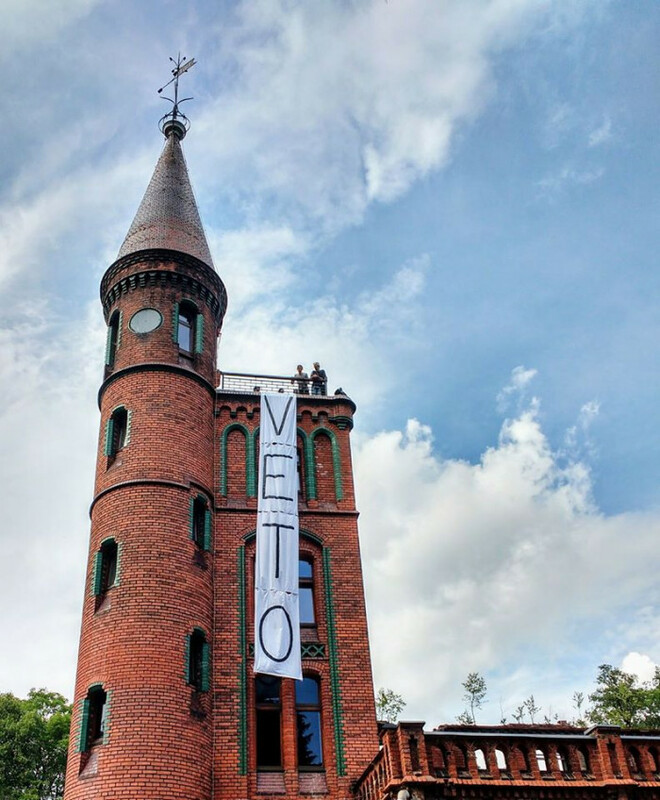 Together with Joanna Rajkowska, we made and hung the VETO banner in Sokołowsko. The action took place during the 7th International Festival of Ephemeral Art Contexts in Sokołowsko and was not planned in the program. Banner was a reaction to the political situation in Poland at that time — July 2017 was a time of manifestation in Poland regarding the law on the judiciary.